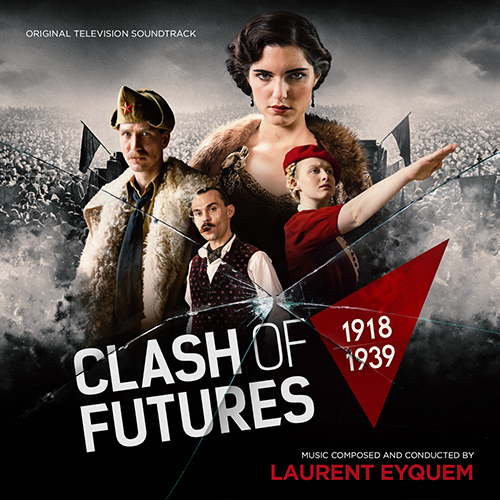 Coinciding with the show’s premiere in Germany on September 11, 2018, MovieScore Media goes back in time with the sweeping historical miniseries Clash of Futures, exploring the dramatic era of the 1920s and ’30s. The eight-part series follows the fates of extraordinary men, women and children from France, Germany, Italy, Great Britain, Austria, Sweden, Poland and the Soviet Union using their own diary entries, letters and memoirs. These are people drawn into the war by their convictions, who with their loves and decisions bring the history of Europe with all its contradictions to life. A big pan-European co-production, the series will air shortly in all major territories in Europe. The score was recorded with the Berlin Film Symphonic Orchestra in the legendary Babelsberg Studio and the choir, heard in the final piece of the album, was recorded in Prague. Born in Bordeaux, Laurent Eyquem’s first musical mentor was his father who played the clarinet in the local orchestra. Unfortunately, Laurent’s career was jeopardized by a near fatal accident that almost cost him his right arm. Following a successful therapy, he emerged as one of the most impressive talents in the international film music scene. Eyquem’s 2013 scores for Copperhead and Winnie Mandela garnered multiple nominations from around the world, including three nods from the IFMCA (Breakthrough Composer of the Year; Best Original Score for a Drama Film; Composer of the Year), and the Discovery of the Year nomination from the World Soundtrack Academy. Just this week, he received 2 nominations for his soundtrack of Nostalgia at the World Soundtrack Awards, for both the Public Choice Award and Discovery of the Year categories.